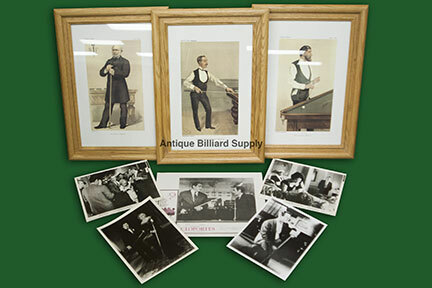 #9-06 Rare antique wall art with billiard theme. "Vanity Fair" prints from the late 1800s. Lobby photos from theaters advertising showings of pool movies including "The Hustler" and "The Color of Money".